Volumize, lengthen and define like a pro! 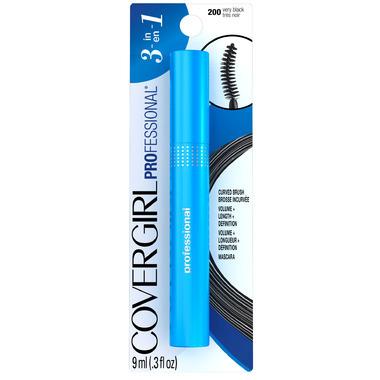 CoverGirl Professional 3-in-1 mascara for all day beautiful lashes. The curved brush finds lashes you didn't know you had, for a volumized, long, defined lash look without the clumps or blobs. Application Tips: Hold brush as close as possible to base of lashes, and wiggle it as you move it up through lashes.